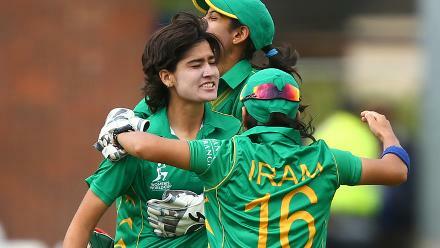 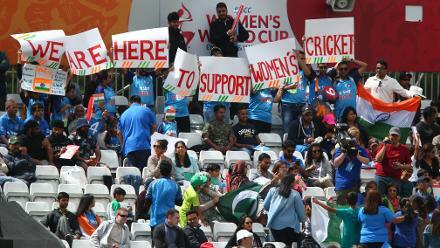 Diana Baig celebrates with Sidra Nawaz and Iran Javed after taking the wicket of in-form Smriti Mandhana. 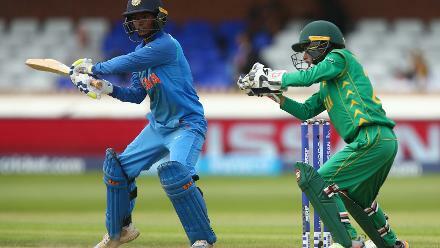 Deepti Sharma plays a shot as the Pakistan wicketkeeper Sidra Nawaz looks on. 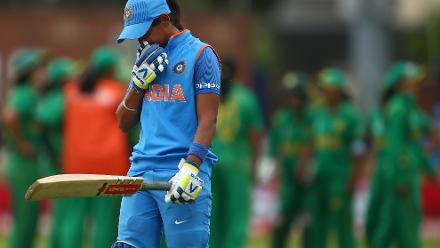 Harmanpreet Kaur of India reacts after being caught out by Sana Mir of Pakistan. 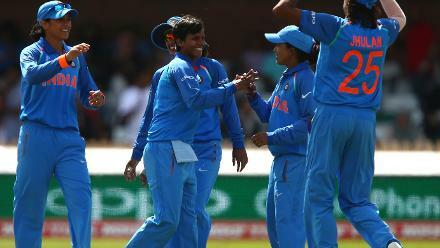 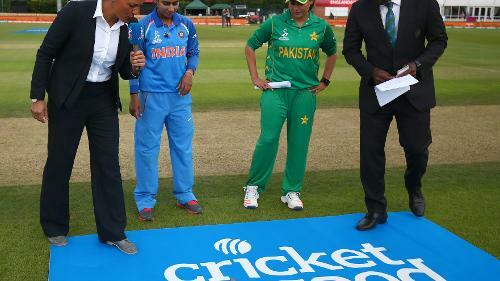 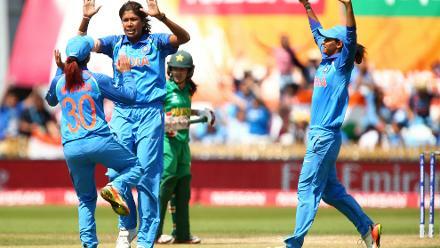 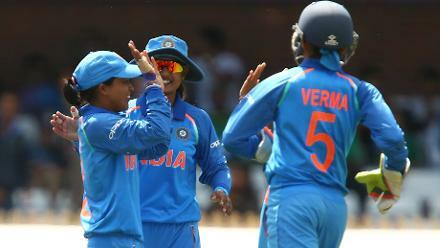 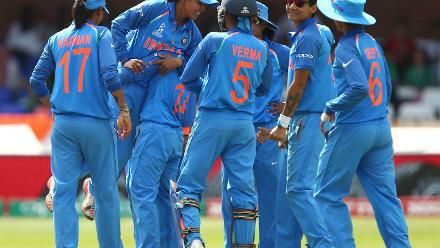 Ekta Bisht of India is lifted off the ground by team-mates after taking the wicket of Sidra Nawaz of Pakistan.